The perfect gift and probably the most sought after shaving soap! 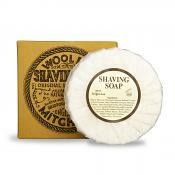 Mitchell's Wool Fat Luxury Shaving Soap is renowned for its lather and its amazing skin softening qualities. A simple and natural product, Mitchell's Wool Fat Soap is still made to Mr. Mitchell's original formula, based on a recipe from the turn of the century and incorporating lanolin from the wool fat as the key ingredient. Although no medical claims are made for it, this very gentle soap is particularly soothing to sensitive skins and has often been recommended by members of the medical profession to help alleviate certain skin complaints. This is probably going to be one of the best soaps you'll ever use so stock up now and experience true shaving heaven! MWF shaving soap is the best I have used so far. It lathers up well for a smooth rash free shave. It has a pleasant scent to it without being too powerful, I doubt I would use another brand again. It's long lasting and before it runs out I've just ordered my third replacement soap for the ceramic bowl that came with my original order over a year ago. Absolutely quality product - have used this before based on a friend's recommendation and a quick sample shave whilst on a stag-do, and one of the best products I've tried. You get what you pay for, hence my purchase now......! I've been using this for a few months now and I Love it. lathers up great feels applies beautifully compleats the softening process and it's an absolute joy to shave with. I really Love the smell of it too classic.Great bowl looks the business so don't break it get the refills and you've got it for life. I find this lathers better than most creams I own. 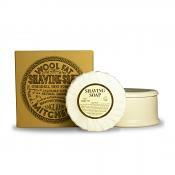 The first time you use wool fat, it may not lather well BUT, the more you use it the easier it becomes to lather. 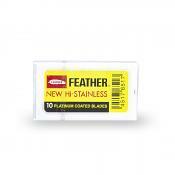 As my brush is quite worn, I've decided to grate half the puck , it now lathers even quicker! This truly is a fantastic product. If you have sensitiv skin then this product will work great for you. After each pass of shaving, you won't need to add more wool fat to your brush, just re-lather your face with what's on th brush....the soap becomes even more luxurious every time! I almost wanted to keep shaving but decided to stop afte 4 passes, by this time the soap was like rubbing fluffy clouds on my face...pure bliss. Given its legacy, Mitchell's wool fat almost feels like it possesses mystical powers! What can I say. Well, firstly, the lather that MWF produces is slicker and more cushioning than any soap or cream I've used. The scent is old school clean and really pleasant. The ace up MWF's sleeve in my honest opinion is the post shave feel. My skin always felt dry when using a soap previously, but my skin feels soft and supple when my shave has finished. 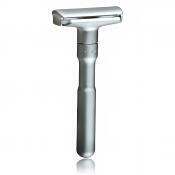 It is a shaving revolution, and I use T&H, TOBS and others. MWF is a permanent fixture in my kit list. This is my favourite software bar none. Very good looking piece of ceramic bowl we have here! Like the retro look of the bowl. Very hard to compare any other soaps because this is the first one of the hard soaps that i use, but had an very good shaving experience even with the first try. I'm loving this soap, it's the best I've used. Great lather (you may not do so well if you live south of the Trent, if you do, use cream) and a lovely, subtle scent. Makes the razor just glide! Great pot, will obviously last for ever (accidents aside) and I'll certainly be replacing with a refill once this is used up. If I should chose to keep only one shaving soap, this would be it! The lather produced by this soap is without comparison the most comfortable and effective I have experienced. 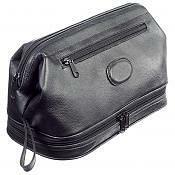 The scent is discreet, classic and appealing - and doesn't interfere with your afterhave/cologne. If considering whether to get this soap with or without the ceramic bowl, I say; get the bowl. Not only is it practical it is also classy and good looking, I wish more shaving soaps came ind bowls like this. If you haven't yet tried this soap you are definitly missing out. A soap that will enhance and wet shaving experience, Mitchell's Wool Fat soap is luxurious, smooth and incredibly kind to your skin. Creating a rich, foamy lather is child's play and once your brush has loaded it onto your face you will really appreciate the smooth glide of your razor. 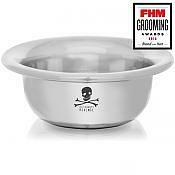 The ceramic bowl is a nice touch that also seems to hold a bit of heat when you are mixing your lather, which is beneficial when you are making multiple passes during your shave and you want your lather to stay warm. It's also a good looking item to have in your bathroom. Everything about this soap is just amazing. When you get the hang of the soap/water ratio, this soap really gives a nice lather that makes the shave really smooth and comfortable. Another really important aspect of this soap to me, is that it is very mild and moistures a lot, which makes it perfect for my sensitive skin. I find that the best way to use this soap is to lather directly onto the face, but lathering in a bowl works as well. Just moved from a shaving cream to MWF based on the good reviews here and elsewhere. 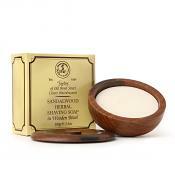 I have also switched to lathering on the face, and this works really well with this soap. When it initially goes on, it looks thin and incapable of turning into a rich lather, but with a few swirls of the brush the lather is as rich and thick as with the cream, and slippier too. What's more, the residue on the brush is plenty for several more passes, producing the same level of lather, which I DIDN'T expect. The results are better than I've ever had before - smooth, comfortable skin and no nicks. Will definitely order again. MWF is superb! Once I learned to lather this stuff it gave me the best shaves of my life! My skin had never felt the same after shaving. I didn't feel any need for aftershave balm even during the cold and dry winter in Finland. 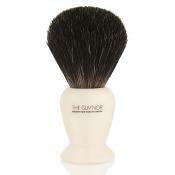 The lather is very rich and glides well providing an awesome cushion. Makes easily enough lather for three or even more passes if you cup lather. A must try for all wet shavers. This soap I have used since I started. 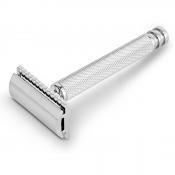 Lathering was really easy and the smooth texture is just simply the best base for a real clean, close shave. 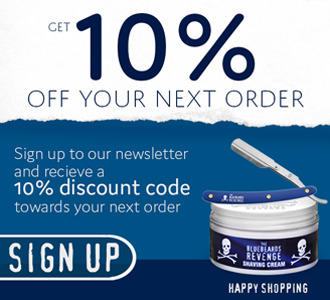 Nearest cream is Bluebeards! Quality product this one, it took me a few goes to create a nice lather but once I got the hang of it it works really well. 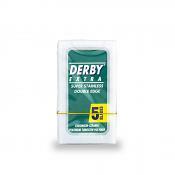 It has a nice smell which is not too over powering but once you shave it leaves you feeling really clean. Looks like its going to last me a long time too. This is a lovely shaving soap! Initially I was having trouble getting a consistent lather, especially living in a hard water area. It is well worth the input though, with a little effort it is possible to make an excellent lather. I prefer to use a slightly stiffer brush, and spend about twice as long making the lather compared to other soaps and creams. It is well worth it though, I and get an amazing amount of thick, creamy lather, enough for more passes than I need to make! I also love the packaging, it has that lovely traditional quality of days gone by that makes your grandfather go misty eyed talking about "the good 'ole days"
The best soap I have ever used! A classic, clean and subtle scent. Easily produced a perfect lather 1st time with just a few swirls of the brush. The lather is something special: Firm, lovely and soft with a cushioning and lubricating effect, softens the stubble up a treat and really moisturises and protects the skin. The lather seems to retain more water than other soaps without compromising its firmness so no worries of this drying out, it last and lasts! 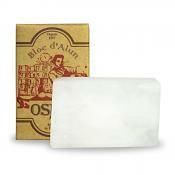 This soap is especially suited to straight razor shaving. Get the ceramic bowl, its a good usable size, retains heat, looks smart and you will definitely be getting a refill! The whole packaging of this product is by far the best on the market! You have to get the ceramic pot, just looks so good. I was slightly apprehensive about getting this soap as some people have a problem with creating enough lather (most problems seem to come from America, so not sure if this is down to water 'hardness'). I needn't have worried as I got a nice silky, smooth lather in double quick time that was enough for at least 3-4 passes. I have used MANY brands of soap and creams but in later years I so much prefer soaps. Tabac is (was) my favourite. I heard a great deal about this soap so I gave it try. After first use I was hooked. The lather feels like a soft cushion on the skin. I live in a dry and cold climate and often my skin requires added moisture after shaving. Not with this soap. I found myself smiling, patting my soft chin at work. This is due to the lanolin in this soap I gather. Excellent stuff. The scent is very classy and slightly addictive. One last advice. Go for face lathering for this soap- that is supreme. Would I buy again? Without hesitation.. I'm more into the shaving creams but thought that i would give this a try. This is soap that is different to pretty much everything else out there. It seems to soften and mousterise the skin better than anything else that i've used. Many people have problems with getting the right consistency with it and it does take a bit of trial and error. Persevere with it and you will be rewarded with the slickest lather you can get. I believe it is best to lather on top of the puck itself or lather on the face directly rather than in a separate mug/bowl. The scent is subtle but very nice The Mitchells soap dish that it comes in is a quality ceramic dish. Oh no! I was really looking forward to using this soap after reading the great reviews. It smells good (slightly old fashioned, very soap like, not overpowering, will work with any other fragrance) and the dish looks great in my opinion. I've been using with a Simpsons Chubby 1 brush but I've found that in hard water areas it just won't build up a lather. I'll keep trying to use it and I'll get a decent lather one day even if it kills me. I'm sure this is a great soap for normal water and an amazing soap for soft water. I really want to love this soap but for hard water it may be worth considering one of the other great soaps or creams on this site. First soap i ever tried with the first DE i ever used... i was walking around with a grin on my face all day after my shave just marveling the smoothness and softness. Can't recommend more, just don't use much water when lathering and everything should work out well. I have been using this shaving soap now for three weeks with the Progress Vulfix 404 Grosvenor Mixed Badger and Boar Bristle Shaving Brush. 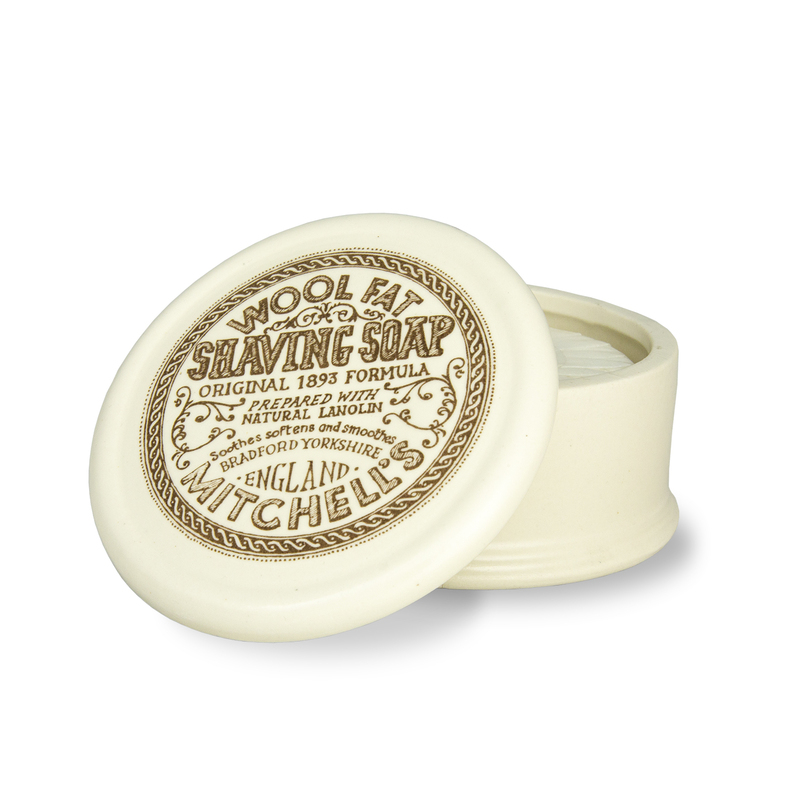 My previous none safety razor shaving was always accompanied with shaving gel/foam which often left my skin feeling dry, definitely not a problem with the Mitchell's Wool Fat Soap!! It has always produced a very rich and creamy lather with very little effort and which leaves your skin with a soft, fresh, clean feel. This is without doubt the best shaving soap/gel/foam product that I have used and even my wife has noticed how different my skin feels. The dish that the soap came in is also worth mentioning as it is a solid good looking piece of kit so much so that the wife has allowed it to be out on display in the bathroom!!!! This soap is the only one I will use from now on and is excellent value for money too as the soap will last me about 6 months!!! I use this soap with the Edwin Jagger best badger brush and it creates the most slick and beautiful lather ever. This is my first soap/cream that I decided I would get with my first wetshaving gear and I doubt I will use anything different. 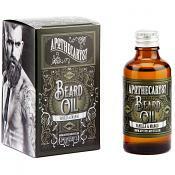 It smells great, a real fresh, masculine smell to and and the added lanolin helps my face fell great after every shave. Would recommend to anyone considering it. I recently got this. I was abit worried as I read some reviews of people saying it dried out their skin also a couple having reactions to it. But I am really glad I went ahead and purchased the soap. I have sensitive skin and I havnt had a problem. Used it for about a week and my skin feels really soft. 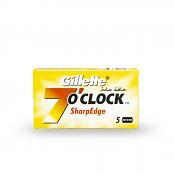 I get a real close shave with this. I would definitely recommend this. And the dish is lovely too. I have been meaning to review this combination since August 2013 when it was a birthday present. 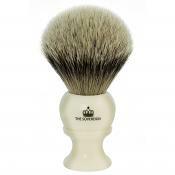 the soap provides an excellent thick slick shaving lather - providing one has a boar/ stiff brush. The smell is manly and the bowl screams 19th century gentleman. If this is to your liking then you are on to a winner. I received this as a birthday present and it really is a very high quality product. 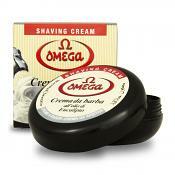 I get a very close shave and have not had any issues in getting a fantastic and creamy lather. The dish it comes with is a real classic and looks great on the bathroom shelf. I had previously been wet shaving with cartridge & tinned goo (for decades) and bought the MWF (with bowl) as part of my very first DE (Merkur 23C) kit. Firstly, the smell is subtle yet very barbershop, and reminded me straight away of my granddad, which made me grin nostalgically. I've haven't quite got the lathering knack just yet - only on DE shave No2 so far - but have started using the (a) immerse the soap in warm water for a few minutes (b) inverted pick-up technique (with a stiffer mixed boar/badger brush) which seems to be working very well. This is a monster quantum leap over using tinned goo, and even though my technique isn't quite there yet, it still feels much better and kinder on the face - very soft and smooth. I'll buck the trend here, this soap lathers well, the pottery container is nice. No fragrance, no frills, does what it says, over rated "miracle" product by most reviewers which makes it expensive in my experience and opinion. Better options are out there for similar prices. I live in a hard water area so was nearly put off buying Mitchells Wool Fat soap but I'm so glad I wasn't. This is an amazing shaving soap that provides wonderful cushioning and has a fresh, clean smell. I found that the best way to achieve a fantastic lather is to put a few drops of warm water onto the puck for a few minutes whilst I soak my brush. I then flick most of the water from my brush and swirl into the soap about 15-20 times then face lather adding more water when needed. I can easily get two great passes using either a straight or DE. Again an amazing soap that I would throughly recommend. Good soap and good lather. Comes in a nice ceramic container (that I'm always afraid will fall off the sink and smash! I'm a klutz) No real fragrance like others but seems to leave my skin nice and soft after a shave.